When we pray, we often ask only for the "big" needs in our lives. Lord, please provide a new car for me. Lord, please heal my mom. Lord, please help me find a new job. What about the everyday needs that we often take for granted? Do you pray for those also? Lord, please give us safe travels. Lord, please protect my children. Lord, give me strength for this task. Lord, show me someone I can encourage today. 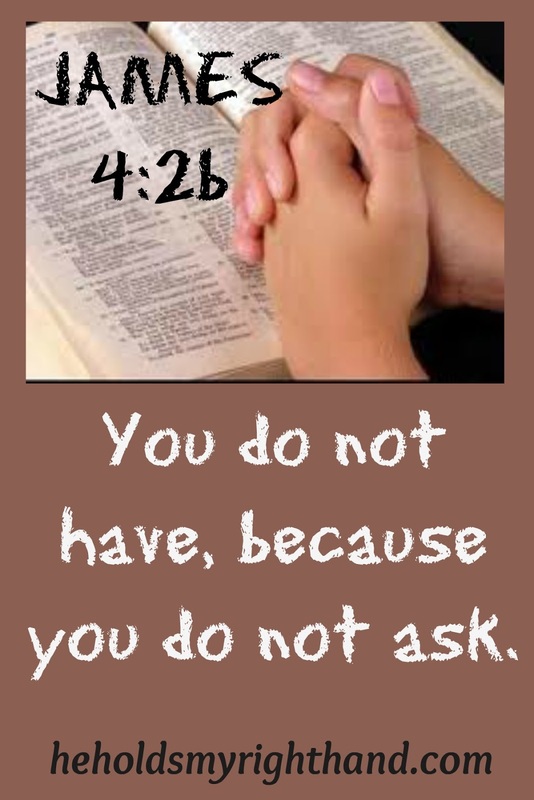 If you do pray for the everyday needs, do you notice when the answers come? Or, do you only notice the answers to the "big" things? Sometimes we look for the big things for answered prayer. I am finding the answered prayers in the "little" things we pass by and take for granted. Last Friday I was praying for protection for our trip to the Creation Museum and God gave safety. I also prayed for my children and their children. My grandson slid off a rain slick road and had a partial roll over. Little damage to the car and he was safe. God answered again. Sunday I prayed for strength in teaching our Sunday School class as I have a had a very hoarse voice from a sinus infection. He gave me a full voice and, afterward, I went hoarse again. He gave what I asked for. This morning (Monday) I heard the road report coming in and there was a pile up on I55. I was going another direction but it reminded me to pray for the accident victims. As I was praying for them I asked for protection for myself again and, as I was coming off the PSB onto I55 south, I heard a loud bang, looked to see what it was and just missed getting hit by a big truck who smashed another car. God answered again. Recently, I asked to see opportunities to witness. While waiting for my wife's MRI, I engaged in conversation with a lady in the waiting area. She was trusting in a works-based salvation. She pondered the conversation we had and said, "Now, I believe in Christ alone." God answered again. God answers prayer! But we don't have because we don't ask (or sometimes because we ask with wrong motives). So Pray! It is powerful, and is the most horrible thing to Satan to see a Believer praying.